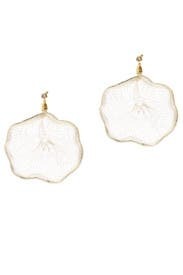 These statement earrings by Colette Malouf make a whimsical accent to any look. 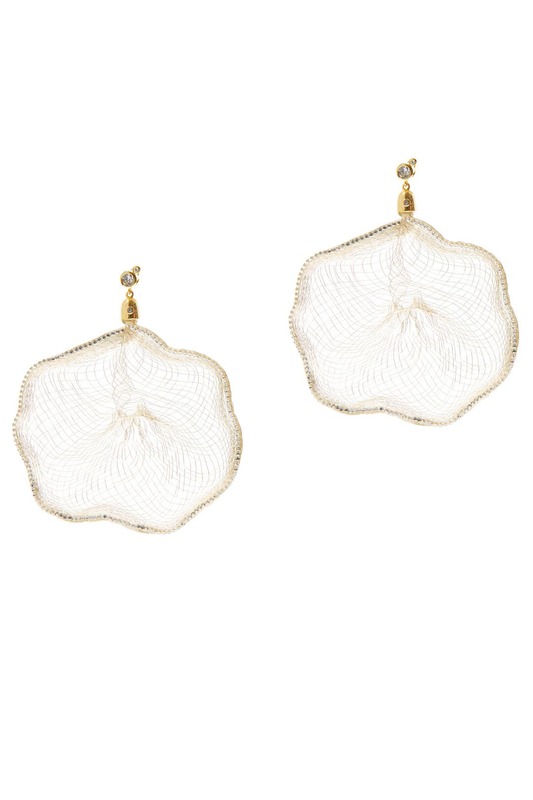 Silver woven metal mesh fan earrings with Swarovski crystal accents. Post backs for pierced ears. 3.5" long.